Interested to learn more about the phenomenon of surges and how a surge protection device works? 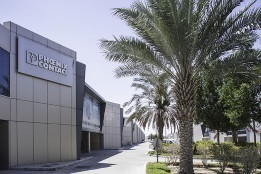 We are pleased to announce that we are holding a one day training course on Surge protection on the 21st October, 2018 at the Phoenix Contact Training Center in Dubai, located at the Dubai International Academic City. You are invited to register for this training and invite your colleagues/ friends to register as well. Developed and conducted by an expert in this field, Mr. Eugen Friesen – Strategic Market Support at the Business Unit TrabTech – Phoenix Contact GmbH & Co KG -, this comprehensive training course aims at enhancing your understanding of surges and the functioning of surge protection devices. Upon successful completion, all participants will be issued with a Certificate from Phoenix Contact.